Penstemons are one of the most valuable late summer-flowering perennials and, in all but the coldest regions, are easy and reliable. Penstemon 'Alice Hindley'. Credit: RHS Advisory. Border penstemons are easy to grow in any fertile, reasonably moist, free-draining soil in full sun or light shade. Planting is best done from mid- to late spring. Enrich the soil with about a bucketful of well-rotted organic matter and 70g per sq m (2oz per sq yd) of balanced general-purpose fertiliser to aid good establishment. Alpine and shrubby penstemons need relatively infertile soils, so no improvement is needed. Allow 45cm (18in) between plants. 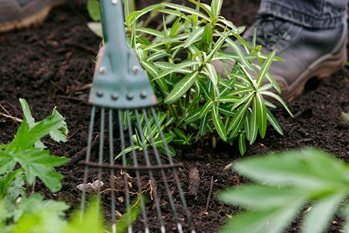 Watering of well-established plants in medium to heavy soils should be seldom needed, but plants growing in light, free-draining soils might need watering every two weeks in dry spells. Deadheading to remove spent flowering spikes helps promote a long season of flowering. Aftercare is important to ensure a good show is subsequent years. Each spring apply a balanced, general-purpose fertiliser at the rate of 70g per sq m (2oz per sq yd), followed by a 5-8cm (2-3in) mulch of well-rotted organic matter to help promote strong healthy growth. Penstemons flower on new vigorous growth that is not lush. See the RHS Penstemon Grower Guide for more cultivation advice. Penstemons can become woody and leggy if they are not pruned annually. Because many penstemons are not reliably hardy, a hard winter can result in serious losses. It is therefore advisable to propagate some fresh stock each year in late summer and keep it in frost-free conditions until the following year. Cuttings are the best method when propagating a named cultivar, as these do not come reliably true from seed. However, seed, division and layering can also be used. See the links below for more on these techniques. This is the best method to produce plants true to the parent. Softwood cuttings can be taken any time during the growing season – those taken early in the year require bottom heat. The more vigorous cultivars, such as Penstemon 'Alice Hindley' and P. 'Schoenholzeri' can be taken early in the year (for planting out in early summer) and usually grow rapidly enough to give a flower display by late summer. Rooted cuttings of penstemons need frost-free conditions during the winter, but can otherwise be grown with little or no warmth and should be kept as cool as practical, with good ventilation whenever possible. Penstemons are easily propagated from seed sown in early spring in heated conditions and planted out in early summer. However they are unlikely to come true to the parent plant. Below are a few of the best penstemons for the border. For a fuller selection list of penstemons see our RHS Find a Plant. P. 'Evelyn' AGM: Slim panicles of tubular bell-shaped flowers with a white throat marked with dark lines. A more compact variety. Height 60cm (2ft); spread 40cm (16in). P. 'Osprey' AGM: Create a cottage garden look with its pink and white flowers. Height 1m (3¼ft); spread 45cm (18in). P. 'Raven' AGM: Has rich, sultry purple blooms set off by the white throat. Height 90cm (3ft); spread 45cm (18in). P. 'Stapleford Gem' AGM: This cultivar bears large, lilac blooms in from mid-summer. Height 60cm (2ft); spread 45cm (18in). P. ‘Sour Grapes' M. Fish AGM: Unusual greyish-blue flowers, suffused with rich purple. Height 60cm (2ft); spread 45cm (18in). Penstemons decline within a few years of planting, so replacing with fresh stock every three to five years is often necessary. Plants are more liable to die out in winter where the soil is heavy and not free draining. Some of the other problems encountered include frost damage and powdery mildew.